Certain species of the “flying” snake are able to glide as far as 330 feet in the air. What makes them so aerodynamic and gives them such controlled flight has been interesting to watch and inspiring to the area of biomimetics. One of the most important factors of the snake’s ability to glide is its ability to flatten its body by sucking in its stomach and ribs. This causes the snake’s body to flatten and mimic a concave wing that traps air. Now that we understand how the snake can generate lift, we can see how the flying snake is able to control its gliding. In order to steer, the snake uses lateral undulation (the S-shaped movement of snakes). This motion also generates more lift as it changes the air pressure above the snake, thereby creating an upward force. At the end of the video we see that the snake is able to change direction completely while it is in midair. With the information from above, it seems pretty reasonable that the snake can do that now. It just so happens that the snake thrashes to manipulate its angle of attack and surface area to slow down. 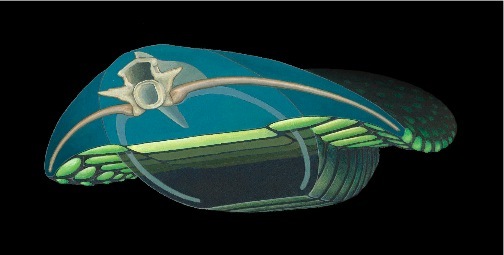 Then it undulates to create its own upward force and whips its tail for propulsion. I found the illustration of the flying snake article in National Geographic. It is true that their ribs are that flexible. This feature is not exclusive to the snake because snakes are able to flatten themselves really well naturally. The cobra, with its hood, is another example of this opening of the ribs. I had the opportunity to share this blog post with my family this weekend. They fell in love with the video and were absolutely amazed by the abilities of this snake. One of them is also an engineer and found your description well done and accurate! Outstanding images! A flying snake? I had no idea. Their ability could help engineers design more aerodynamic fuselages. Imagine a plane with the capacity to use this feature of a flattened, sucked-up fuselage. Even though I have seen very “slim” planes.